The Son of God Incarnate, learning the Hebrew Scriptures from his humble parents, Joseph and Mary, is a a perfect image for this parish youth center. Hanging over a fireplace, it communicates an atmosphere of family unity, warmth, grace, and an appreciation of God’s Truth. 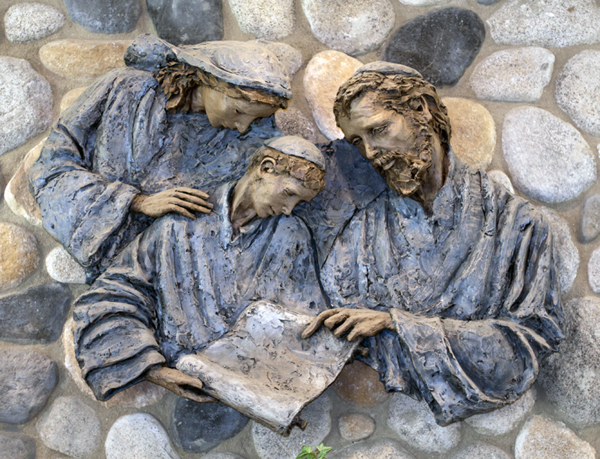 St. Joseph is a model for all catechists and youth ministers.